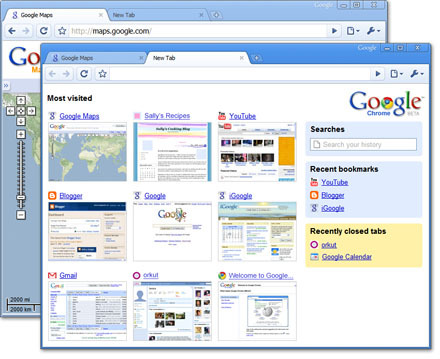 While Internet Explorer and Firefox battle it out, Google has come from behind to launch its open source browser, Google Chrome. Google Chrome beta version will be released to the public in 100 countries today. In conjunction with this release of Googleâ€™s browser, details about Chrome can also be found in a 38-page online comic book in blogosphere. Users who intend to read the comic can get it here.